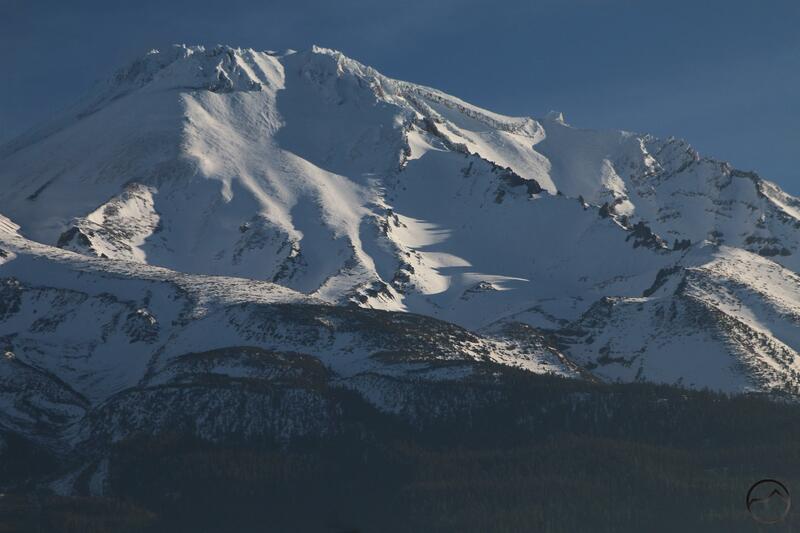 Thursday morning sunshine on Mount Shasta. 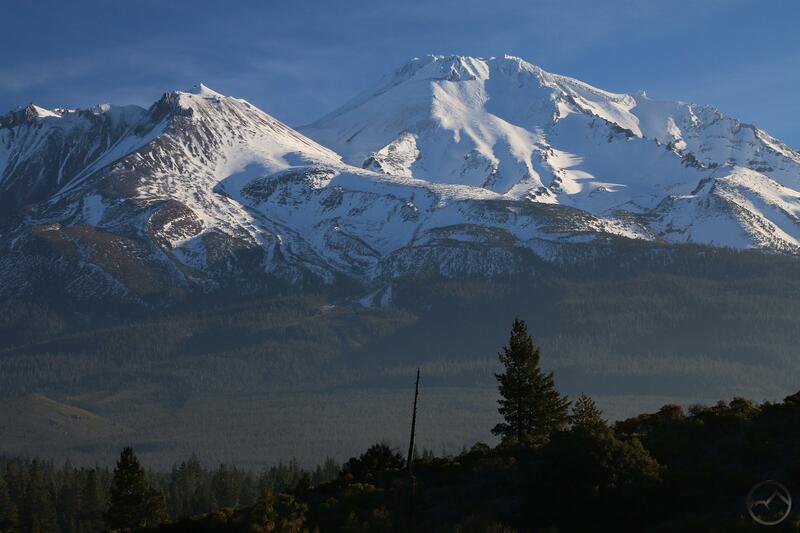 At times, while living at the foot of Mount Shasta, it is possible to lose sight of just how big the mountain is. It never fails to impress, and it is rare that I see it and don’t pause, for even just half a moment, and marvel at the sight of the grand volcano. Yet, in spite of never tiring of it, the eminence and immensity can be lost in the hustle and bustle of life. Today was different. While driving home from the animal hospital, the morning light was coming at the mountain horizontally, casting lots of great shadows on Mount Shasta’s snowy flanks. The great black forests that lie below the treeline were alight and seemed to glow. The scene was compelling and I quickly yielded, stopped, and captured some images. The mountain just seems to hang there, filling the view with a totality that few mountain ranges, let alone individual peaks, seem to be able to replicate. Of course, Mount Shasta is not like other mountains and is truly a singularly massive peak. As I discussed in this article (if you have not read the article, I strongly encourage you to do so! 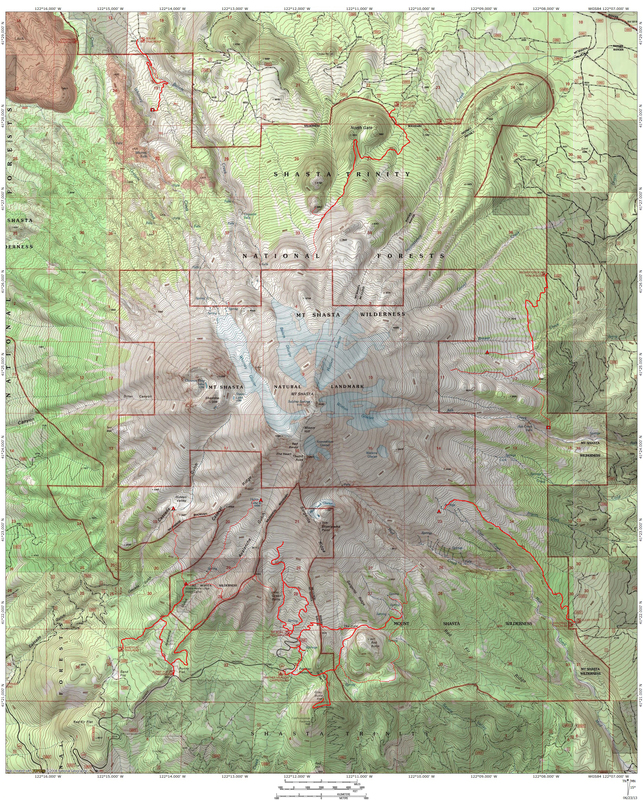 ), Mount Rainier is the closest peer to Mount Shasta. Despite being a couple hundred feet higher, its diameter at 6,000 feet elevation is nearly 4 miles less than that of Mount Shasta at the same elevation. That difference is greater than the entire diameter of several other major Cascade volcanoes like Mount St. Helens and Mount McLoughlin. 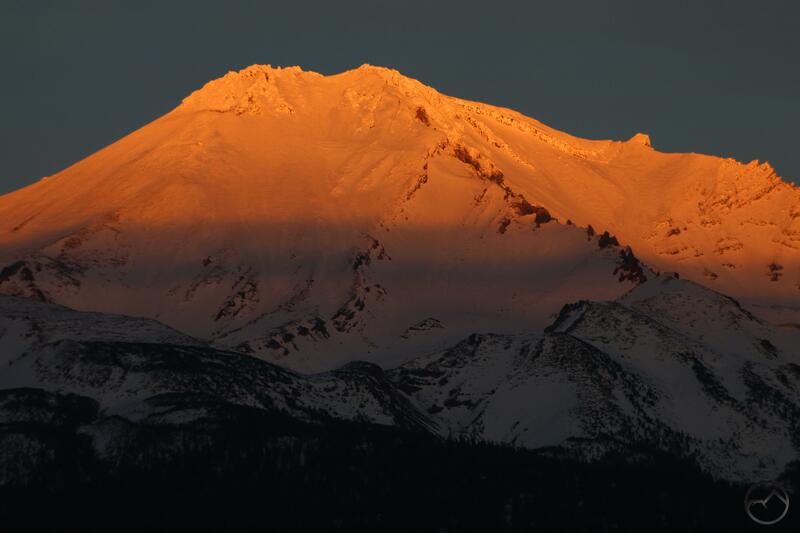 Winter is a great time to enjoy the spectacle that is Mount Shasta. The snow creates a magnificent canvas for the sunlight, shadows and alpenglow to paint the great mountain. It is now, when the icy tower sits in splendid isolation above the surrounding peaks, which themselves are monumental peaks that are cut off from all but the most intrepid by winter’s snow. Summer’s view of the mountain, while humbling, is a different experience. The melting snow swells the fountains that flow from within the mountain and the best views shift to the flank, gardens and trails of Mount Shasta. Yet it is the great white cone that remains the iconic view of the mountain. Despite the cold, enjoy the staggering scene! Very nice photos and descriptions, Bubba! So true of our beautiful mountain.